Your eyes are great barometers of your overall health, and in depth eye care requires more than just visiting your local Plano eye doctor for a prescription for eyeglasses or contact lenses. Let the optometrist at Optical Zone get to know you, your eye history and your vision needs and they will formulate a plan to put you on the road to optimum eye health. At Optical Zone, you will be very satisfied with both the level of service and professionalism. Great technology along with the best in Optometry know-how makes Optical Zone a perfect practice for all your vision needs. Making sure that you get the most accurate prescription possible is a top priority at Optical Zone. However, this is only one part of the overall health of your eyes. Make it a priority to see your optometrist once a year to ensure you will be seeing clearly for many years to come. Optical Zone has convenient office hours and a large selection of frames they are always rotating through, offering the latest and freshest designs. Dr. Akshet Joshi, O.D. and the eyecare professionals around him provide the most expert eye care to those in the Plano and the greater Dallas Ft. Worth area. Our location is very convenient for those coming from anywhere, with ample free parking available. Optical Zone is located in the Legacy Village shopping center in Plano, at the intersection of Independence and Legacy. For any questions at all or to schedule an appointment, please feel free to contact us. We also welcome you to stop by and check out our amazing selection of frames and eyewear. We look forward to seeing you!! When should a person come see their optometrist for dry eye symptoms? Anytime your dry eyes begin to adversely affect your daily life it’s time to go to the doctor to determine the causes and what treatments can be employed to reduce symptoms. What is the examination to determine whether someone is suffering from DES? The first step in a dry eye exam (or any exam for that matter) is to record an accurate medical history for the patient. Many times the symptoms are caused by underlying systemic conditions which need to be treated. After that a thorough examination of the eye under a slit lamp can reveal any physical conditions such as blepharitis or a defect of the lacriminal gland which could be the culprit for dry eye syndrome. Another test that can be performed by a doctor is a tear film analysis which can reveal underlying causes of the dry eye. At , we specialize in providing the greater Plano area with effective, specialized treatment to manage the progression of myopia. I found Optical zone store. We are very glad we did.I had a great experience mainly because Jada made sure everything was perfect . Seriously good customer service. I ordered another pair and we will be using them in future. I’ve been going here for years and the Dr. and all staff are wonderful! They are personable, efficient, and send out plenty of reminders for appointments. They also really take the time to explain the cost of everything in an understandable way. Just an overall great experience! Excellent eye examination facilities, great service. I wouldn’t look beyond this place for any needs of eye care of my family. This is my neighborhood prom optometrist. I love the local feel. Highly recommend this spot! Dr Joshi and Sher run an uncommonly professional and patient/customer focused optometry practice. My wife and I have been patients since 2008 and could not be happier with the care we have consistently received before, during, and after each visit. 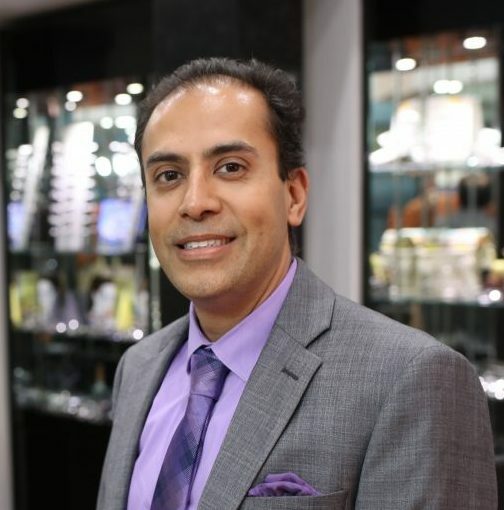 I wear bifocals, and as my vision has changed over the years, Dr Joshi's updated prescriptions have always been spot on, and Sher has always been exceptional at helping me find just the right frame and combination of lens features.